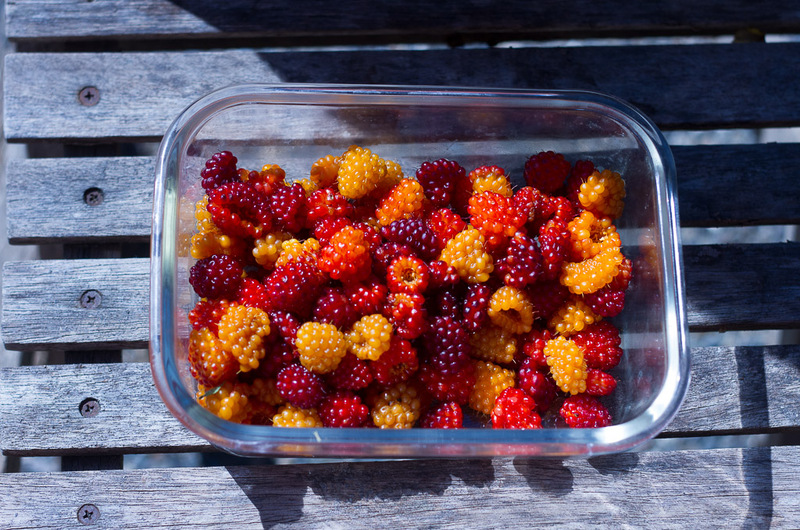 I’ve backtracked on my runs, battled thorns and frantically out-picked bears to bring these berries home safe, so I wanted to make sure I made something that would highlight their beauty and flavor in full glory. Like a pedestal just for berries. This one’s a game changer. Simple, yet oh so pretty! Thank you Mama Nature for turning the land we disturb (where berries grow best, like roadsides and clear-cuts) into berry heaven for all. Grind oats into flour, mix in quick oats, salt, cinnamon. Cut in coconut oil until you have a mealy dough. Mix in honey and as much water as needed to form a dough ball that stays together. Divide dough into 6 pieces for individual tartlets. 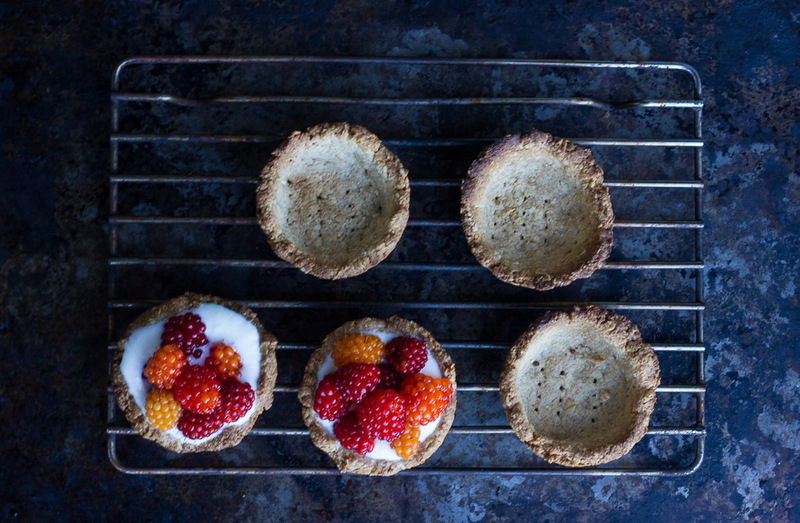 Roll each dough ball out into a thin pancake and press into greased muffin tins to form the tartlet cup. Poke holes in the bottom and sides with a fork. Bake at 350F for 10 min – keep an eye on them, they go fast! 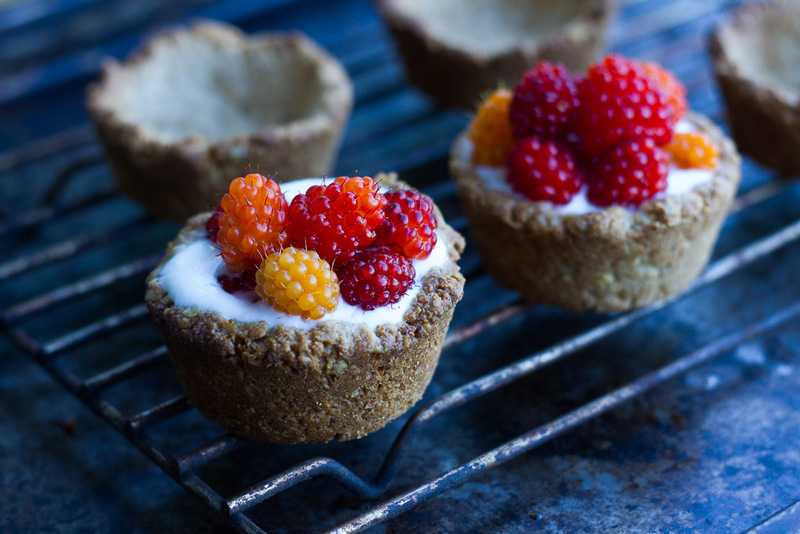 Greek yogurt mixed with maple syrup and vanilla or honey to taste and salmonberries (or any other berry) to top it off! Copyright © 2019 Farm and Fire . All rights reserved.